Originally from Japan, the Pacific or Japanese oyster is the most widely cultured oyster in the world. It accounts for 75% of world production. In France, it has crowded out the Belon and now accounts for 99% of oyster production there. Gone are the days of the Belon in Paris. The Pacific oysters are marketed under a variety of names, often denoting their growing area. The Kumamoto is one of the most famous Pacific oysters. I tend to think of a Pacific oyster as a creamy oyster, with a mineral note. The Olympia is a very small oyster seldom exceeding 2 inches. For comparison, in Massachusetts, oysters must be a minimum of 3 inches to be sold. Olympia is a native American oyster, which once flourished on the West Coast, before the Pacific took over. Olympias are hard to find today as they grow very slowly and are difficult to transport. They hold very little liquid and dry out quickly. The Olympia has a very full flavor with a distinct aftertaste. Another American native, there are many varieties of Atlantic oysters, such as the Malpeque from Prince Edward Island in Canada and the Blue Point from Long Island in New York State. Bluepoints were originally named for Blue Point, Long Island but now the term is generally applied to any Atlantic oyster two four inches long. These two are now the most common restaurant oysters in the US. Also called Eastern oyster, the Atlantic has a thick, elongated shell that ranges from 2 to 5 inches across. It's found along the Atlantic seaboard and the Gulf of Mexico in the US. The Belon, or European Flat, is Europe’s native oyster. The Belons are round and shallow. That’s why they are called Flats. They are also not very liquid and dry out fast. They have a long history. They used to grow in Brittany, Normandy, England, Spain, Holland, Greece and the Black See. But a disease is wiping them out worldwide. The Flats from the Belon river in Brittany were at some point the connoisseur’s top choice and the name was soon adopted by all oyster growers, a bit like the Blue Points from Long Island. The Belon oyster grows in limited quantity in Maine on the rocks of the Damariscotta river bed. What wine do I drink? I have eaten Oysters in many places. I will focus on Europe, the American East and West Coast and Japan. First, in general, I always try to go local. Second, the best oyster wines are dry, crisp, clean-finishing white wines, both sparkling and still. I avoid red wines and the sweeter style German Rieslings. In Europe, where now most likely you will eat a Pacific, a Champagne or another sparkler would be the perfect marriage and my first choice. In London, I would be very interested to taste the new star on the sparkler market, a Nyetimber. The English sparkler Nyetimber's Classic Cuvee 2003 was crowned champion of worldwide sparkling wines in the 2nd annual "Bollicine Del Mondo" competition in Verona, Italy, a few months ago, impressing judges more than sparklers from French legends such as Bollinger, Pommery and Louis Roederer. See here. I Germany, I would go for one of the many excellent Winzersekte (brut) , which are widely available, such as the one from Fitz Ritter (which I tasted recently with Alice Fitz Ritter in Washington DC; see here). In France, of course a Champagne, if possible the regular Taittinger. Then of course, in Europe, a Sancerre, a Muscadet or a Cablis are perfect matches. These wines come from the northern region of France where Mother Nature does not produce these ripe gapes and instead lean, grassy wines with a ringing tartness. I in particular like the Muscadet with oysters. It is made from the Melon grape grown in the granite soils of Muscadet, where the Loire runs into the North Atlantic. Made "sur lie," kept on the "lees" or sedimented yeast left over after fermentation until bottling, Muscadet gains earthy, yeasty and stony flavors from this process and from the soil, mingled with tart lemon-zest and green-apple flavors from the cool-weather grape. It's a natural with fresh oysters, and a good pick with all kinds of seafood and fish. In Germany, I would go for a dry Silvaner, a grape that reminds me a lot of Sauvignon Blanc and that in its heydays was used for cheap blends, but is experiencing a strong comeback as autochtonous grape in Franken and Rheinhessen. See for example the wines of Michael Teschke, Stuart Pigott's Discovery of the Year. In the US, on the East Coast, there are now interesting Sauvingon Blanc wines produced in Long Island and the Finger Lakes region, but which are outside of the region not so easy to find. So probably I would go for a New Zealand Sauvignon Blanc. On the West Coast, a Sauvignon Blanc from Washington State would be my first choice. In Japan, I would definitely experiment with the Koshu grape, which is now entering the world market; if not available I would go for a Sauvignon Blanc from New Zealand. Generally, it should be a dry, crisp and fruity white wine - still or sparkling. Definitely not a red wine, nor a sweet wine. New Hampshire, US: Cheese ... Lobster and Oysters ... and Wine! The new Forbes list of the richest people in the world is out. This year, the world's billionaires have an average net worth of $3.5 billion, up $500 million in 12 months. The world now has about 1000 billionaires, up from about 800 last year and not much lower than the record of 1125 billionaires in 2008. At the same time, the index of prices for fine wine is also up again, after having declined sharply following the financial crisis of 2008. In February the London Fine Wine Index Liv-ex 100 again increased by 3 Percent and has again reached 250 points, compared with 264 points in June 2008, at the onset of the financial crisis in 2008. On a 12-months basis, the index has grown by almost 20 percent, in line with the general recovery of financial markets. 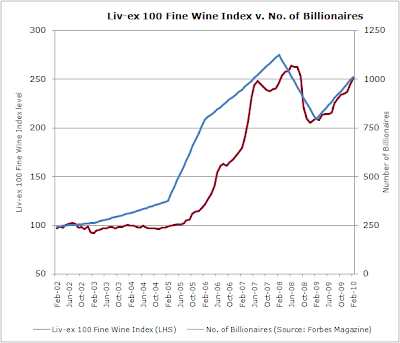 Liv-ex has published an interesting chart, which plots the number of billionaires from Forbes alongside the Liv-ex 100 Fine Wine Index. The correlation is startling. 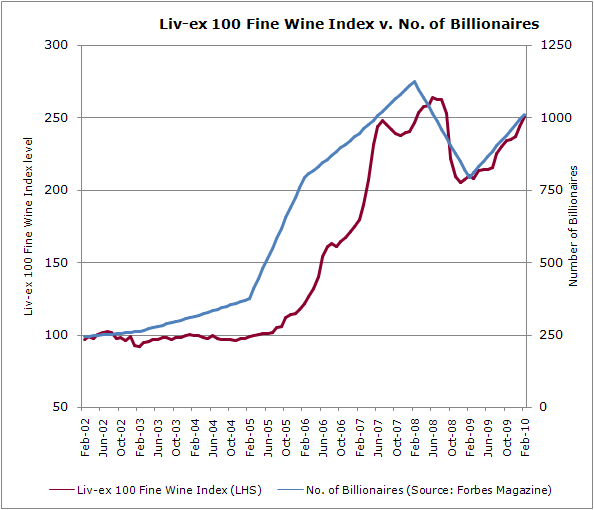 Of course, it is not the increasing number of billionaires which is behind the recent strong performance of the Liv-ex 100 Fine Wine Index. But the Forbes data is a good proxy for what is happening on the demand side of the market for fine wines. One major factor of course is Asia, and in particular, China. Two thirds of the new entrants of the Forbes data come from Asia. U.S. billionaires still dominate the ranks--but their grip is slipping. Americans account for 40% of the world's billionaires, down from 45% a year ago. Of the 97 new members of the list, only 16% are from the U.S. By contrast, Asia made big gains. The region added 104 moguls and now has just 14 fewer than Europe. Eleven countries have at least doubled the number of billionaires they had a year ago, including China, India, Turkey and South Korea. For the first time China (including Hong Kong) has the most billionaires outside the U.S. with 89. In line with these numbers, China has become the largest importer of Bordeaux wines outside Europe; it has overtaken the US. These numbers, however, need to be put in perspective. 70% of the Bordeaux is consumed by the French themselves, mainly bought via large supermarkets. Of the remaining 30% percent, more than half is exported to other EU countries. China is now the leader of the pack of the non-EU exports, which account for about 14 percent of total Bordeaux output. China bought 13.7 million liters for 74 million Euros, overtaking the United States, which took 11.6 million liters for 139 million Euros. Japan came third, with the same volume as the United States. China’s imports will need to increase by 50% to overtake the UK. This sounds a lot. But doable when you compare it with last year’s growth of almost 100 percent. Bordeaux makes up around 2.5 per cent of world wine production. something like on the left-hand axe, with the only difference that the top line at above 35% is Asia/Oceania and the line in the middle at 15% is Europe. There is a dramatic shift in purchasing power going on and will continue to go on, with implications for the wine market. 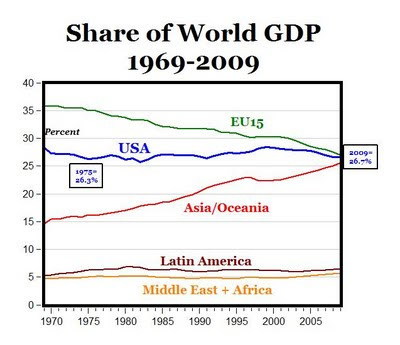 This is in broad terms the economic set up for the global village in which people consume and produce wine. 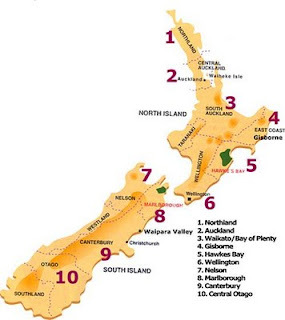 Matthew Jukes has published his new New Zealand Pinot Noir Ranking. Interestingly, my favorite New Zealand Producer, Johner Estate, is on the list. One of the wine success stories in the past couple of decades is New Zealand. New Zealand’s wine makers have penetrated the global wine market with stunning Sauvignon Blanc and Pinot Noir wines, but also with other grape varieties and sparklers. They are still a relatively small wine country, at about 10% of Germany’s wine output, on 9th place in terms of world output, or 2% of France’s output, the world’s largest wine producer. New Zealand Wine – Pure Discovery. New Zealand is a land like no other. New Zealand wine is an experience like no other. Our special combination of soil, climate and water, our innovative pioneering spirit and our commitment to quality all come together to deliver pure, intense and diverse experiences. In every glass of New Zealand Wine is a world of pure discovery. International acclaim. New Zealand Sauvignon Blanc is rated throughout the world as the definitive benchmark style for this varietal. The growing recognition for New Zealand Chardonnay, Pinot Noir, Méthode Traditionelle sparkling wines, Riesling, Cabernet Sauvignon and Merlot blends is helping to further cement New Zealand's position as a producer of world class wines. Diverse styles. New Zealand is a country of contrasts with dense, native forest, snow-capped mountains and spectacular coastline. With wine growing regions spanning the latitudes of 36 to 45 degrees and covering the length of 1000 miles (1,600km), grapes are grown in a vast range of climates and soil types, producing a diverse array of styles. The northern hemisphere equivalent would run from Bordeaux (between the latitudes of 44 and 46 degrees) down to southern Spain. Temperate maritime climate. New Zealand's temperate, maritime climate has a strong influence on the country's predominantly coastal vineyards. The vines are warmed by strong, clear sunlight during the day and cooled at night by sea breezes. The long, slow ripening period helps to retain the vibrant varietal flavours that make New Zealand wine so distinctive. Food friendly wines. New Zealand cuisine draws inspiration from the traditional kitchens of France and Italy, as well as the exotic dishes of Asia and the Pacific Rim. Wine styles have evolved to compliment this extensive menu. There are bright and zesty wines such as Sauvignon Blanc and Riesling for fresh and subtly spiced dishes, while complex, mellow Chardonnay, Cabernet Sauvignon/Merlot blends and Pinot Noir offer a timeless marriage with the classical dishes of Europe. Ensuring the future. 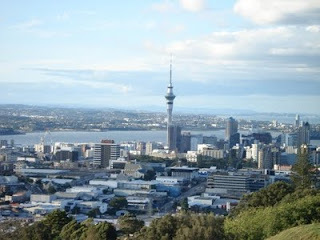 New Zealand's small population, distant location and agricultural economy have earned the country a 'clean, green' image. Visitors often describe it as 'an unspoiled paradise'. New Zealand's winemakers and grape growers are determined to keep it this way. Innovative practices in the vineyard and winery which deliver quality in a sustainable and environmental manner, ensure that New Zealand meets a growing world demand for wines that have been produced in a 'clean and green' fashion. Pinot Noir and Sauvignon Blanc are New Zealand’s flagship grapes. Following the example of the 1855 Bordeaux classification, Matthew Juke has developed a New Zealand Pinot Noir Classification with 5 groups of winemakers. Unlike the 1855 Bordeaux classification, Luke’s Pinot Noir classification is reviewed every year. This time, 3 wineries were awarded 5 stars: Ata Rangi (Martinborough), Felten Road and Mt Difficulty (Central Otago). The following wineries were awarded 4 stars: Bellshill, Graggy Range, Dry River, Escarpment (downgraded from 5 stars), Martinborough Vineyard, Pegasus Bay, Peregrine, Rippon and Pyramid Valley. 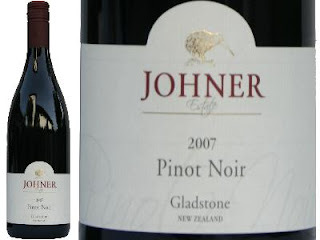 My favorite New Zealand winemaker is Karl Heinz Johner, whose Pinot Noir is now in the 5 stars category. Karl Heinz Johner studied Oenology and Viticulture in Geisenheim, Germany in the early 1970s. He then spent many years in England, making wines at the Lamberhurst vineyard in Kent. In 1985 after ten years abroad in the UK, Karl Heinz Johner and his wife Irene founded a little Weingut (vineyard & winery) in Baden, Germany, and started to produce excellent wines there, including Pinot Nor. Today Weingut Karl Heinz Johner is considered to be one of the best winemakers in Germany. It has 3 Gault Millau Grapes. In 2001 Karl Heinz Johner and his son, Patrick, who is also a winemaker, established a winery in New Zealand. The Johner Estate is outside of Masterton New Zealand in the northern Wairarapa Valley. Wairarapa is a young wine growing region north of Wellington over the Rimutaka Hills. Johner Estate has planted 8 ha of various Pinot Noir clones, originally selected in Burgundy, 3 ha of Sauvignon Blanc and a further hectare of 10 trial Varieties ranging from Pinot Gris to Syrah. Patrick Johner is one of those German winemakers, who are very active in the Internet. He ranks number one among German winemakers who use twitter, in terms of followers. He has also organized very nice twitter wine tastings with a Skype link to his father in the cellar and the vineyard in New Zealand. If you want to taste New Zealand wines and if you are in London, The Providores and Tapa Room is the place to go. I have never seen such a broad and deep selection of excellent wines from New Zealand outside of New Zealand. Naturally, the focus is on Pinot Noir and Sauvignon Blanc. See more here. New World Wine Country: New Zealand - Facing the Fate of Australia? When I bought a case of this Fronsac wine some 30 years ago, my cousin Karlheinz had recommended the wine, because the two Fronsacs offered a good value. And I believe they still do. Fronsac has two wine regions. There's a smaller Canon-Fronsac inside the larger Fronsac appellation. Both make reds, using merlot as the dominant grape variety. In the 1800s, Fronsac's wines were the stars of the Libournais. They were higly sought after by the French Court. However, Saint-Emilion wines rose in fame in the mid-19th century and those of Pomerol somewhat later while those from Fronsac lost in popularity. By the 1950s, this decline had come to a point, where the price of a Fronsac was little more than that of Bordeaux Supérieur. Since then, however, there was a turn around and in particular since 1970, things have been improving in Fronsac. Chateau de la Rivière has an impressive history, going back to the 8th century. In fact, it is something of a surprise to discover what history there is in Fronsac, languishing in the shadow of the exalted properties of the Medoc, Graves, Pomerol and St Emilion. On the remainders of tombelle Gallo-Roman, Charlemagne was the first builder of the Château de la Rivière in the 8th century. This defensive fortress was positioned in a strategic point for the observation of possible invaders. Then in the 16th century, Gaston de l' Isle, from Bordeaux build what still can be admired today. After Jean Balluteaud (1927), Jacques Borie (1962) and Jean Leprince (1994), it is today James Grégoire (purchase in 2003), who owns the Château de la Rivière. It is the largest wine estate in Fronsac, with over 50 hectars of vineyard planted, compared with 10 hectars of most other estates. The Chateau produces 300.000 bottles annually. The vineyards at Chateau de la Rivière are planted with Merlot, which accounts for roughly two-thirds of the area planted to vines, with the remainder Cabernet Sauvignon and some Cabernet Franc and Petit Verdot. The terroir is a mixture of clay, sand and limestone, arranged in a south-facing amphitheatre. The wine is made using a cold maceration of three to four days and the fermentation is temperature controlled, with pumping over. Milky-red, brownish in the glass, leather, raspberry and fruitcake on the nose, generally restrained aromas, black and red fruit on the palate, with good acidity and solid tannins, showing some signs of maturity, but is still fresh, is unlikely to improve. My fellow-Blogger Heike Larsson has posted a very good introduction for newcomers to the Bordeaux wines, which you can find here. Her posting, as well as this one, is part of an effort called “Mission Bordeaux”, initiated by Uli Kutting. He is one of 4 authors of the Wine Blog Weinspion. They write in German. Mission Bordeaux is supposed to be a digitale journey to Bordeaux with the view of discovering the Bordeaux region with its fine wines from different angles. The Weinspion has created a facebook group which has about 50 members currently. Hopefully, it will grow into a comprehensive data base for the Bordeaux region and its wines over time. This is a Guest Posting by my wife, Annette Schiller, who visited the Millésime Bio in Montpellier. Annette has a thirty year long love affair with wine and is the owner of ombiasy Public Relations (http://www.ombiasypr.com), a transatlantic marketing, consulting and conference/event management firm focusing on sustainable development, renewable energies and organic food and wine. Organic wines from Egypt? You must be kidding? This is exactly what I happened to bump into at the Millésime Bio in Montpellier, France. Convinced by my best friend Dagmar Ehrlich, a well known wine journalist from Germany, I flew to Montpellier. For years she has focused on the sustainable, organic, and natural way of making wine for healthy enjoyment. She was my guide on a journey of discovery, tasting over two hundred organic wines. The Millésime Bio, held this year from January 25 to January 27 at the parc d’exposition in Montpellier, is the only wine trade show worldwide exclusively consecrated to the organic winegrowing sector. In its 17th year the Millésime Bio has grown from a small local trade show, organized by organic winegrowers of the Languedoc-Roussillon region, to a powerful demonstration of wines stemming from environmentally friendly, health-focused winegrowing with an all time high number of 489 exhibitors and 2700 visitors. 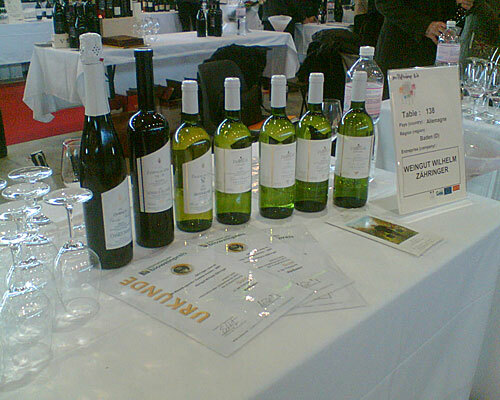 Although about eighty percent of exhibitors were winemakers from France, the international exhibitors comprised thirteen countries, with Spain and Italy in the lead and some surprising finds, like the Egyptian International Beverage Company (EGYBEV), which grows a nice “Jardin du Nil blanc” and “Jardin du Nil rouge” on terraces along the Nile River, exactly what people already did in that region five thousand years ago in the times of the early Pharaohs. The first day of tasting I concentrated on white wines, starting with champagnes. I love bubbles; hence I tasted the champagnes of the five champagne houses present at the show. At the booth of André & Jacques Beaufort I had my first eye opener. Their champagnes are handcrafted in the pure sense of a complete devotion to a strictly natural wine making process. I tasted one of the best champagne I ever savored. The 1996 Brut Millésime Grand Cru, made from 80% Pinot Noir and 20% Chardonnay, was extraordinary, simply out of this world: a fantastic nose with an elegant aroma of honey and yellow fruit; a big wine but with a tension between delicacy and boldness that leaves you speechless. I have a great affinity to the Alsace region and continued my wine tasting tour with Alsatian wines. Beautiful rolling hills ascending from the banks of the Rhine River dotted with vineyards and medieval towns housing century-old winemaking estates make for wonderful, unique, primarily white wines. I tasted the portfolio of Eugène Meyer, a winemaker in the town of Bergholtz, with a great reputation as an outstanding advocator for organic and biodynamic wines. The Eugène Meyer winery was established in 1620 and became certified by Ecocert for producing biodynamic wines and by Demeter for producing organic wines in 1969. The tasting was a fantastic exercise to refresh my memory on the specifics of the different varietals grown in the Alsace. Their clear-cut Rieslings, Muscats, Pinot Blancs, Gewuertztraminers, Edelzwickers, and Sylvaners, they all showed the distinctive characteristics of the grape variety seldom produced with such mastery. The Domaine Marcel Deiss in the Alsatian town of Bergheim pursuits an opposite philosophy. They believe in the concept of “terroir”, the characteristics in soil, climate, and micro-climate of the vineyard. Most wines are field blends of different varietals. For old world standards this is a relatively new winery, founded after World War II, although the family Deiss has been involved in winemaking since they settled in Bergheim in 1744. The Marcel Deiss Domaine became certified by Ecocert and Demeter for making biodynamic and organic wines in 1998. All the wines I tasted showed a stunning complexity and an intense minerality due to the specific terroir. My favorite was the 2008 Grand Cru Schoenenburg, a full bodied, mouth full of wine with an incredible long finish. It just came to my mind that those two winemakers mirror the volatile history of the Alsace. The great powers ruling the Alsace alternated between the Germans and the French. The German winemaking tradition is based on the concept of varietals whereas the French winemaking culture tends to believe in the concept of terroir. My tasting experience with these two winemakers from Alsace gives credence to my view that the art of winemaking is intimately intertwined with the history and culture of the respective region. Many years ago, I visited the Salon des Vins de Loire, a wine trade show held annually in February in Anger, France, where I fell in love with the Chenin Blancs of Philippe Delesvaux. I was very happy to find him at the Millésime Bio having overlooked the fact that his estate became certified for producing biodynamic wines by Ecocert in 2000. This is a young winery, established by Phillipe Delesvaux in 1983, who, contrary to most winemakers in France, cannot look back on a family history with wines. He studied agriculture and moved from Paris to the Loire to work on a farm. Luckily for the Chenin Blancs lovers of this world his exposure to the wines of the Loire ended with such a fascination with viticulture that he decided to start his own winery. Luck was also on his side by ending up at the Loire, where it is still possible to find an unexploited piece of land with a great terroir for planting vines. In other prominent wine regions such as Burgundy or Bordeaux, the great terroirs have already been planted many centuries ago and remain in the hands of family wineries or big estates. My second eye opener and comprehension what an organic wines is all about was the Philippe Delesvaux Coteaux du Layon Sélection des Grains Nobles 2008. This is a 100% Chenin Blanc, produced from botrytised grapes, finished in barrique, with an earthy, musty bouquet which comes nonetheless across as crisp and lightly fruity due to a good backbone of acidity. This wine exemplified everything I ever wanted in a white wine. The earth, the character of the grape, a solid body, the fruitiness; every sip was a revelation and cognizance of how a wine can be in tune with raw nature. Only a wine stemming from good terroir and healthy natural fruit produced organically and without popular manipulations can achieve this grandness. Of course I stopped by my compatriot, the only German exhibitor, the Weingut Zaehringer, whose owner and winemaker is Paulin Koepfer, a former classmate of my friend Dagmar from their days at the University of Applied Sciences, Department of Oenology in Geisenheim. Paulin is also president of the Baden chapter of Ecovin, the association of organic wine producing domaines in Germany. Since 1844 the Weingut Zaehringer makes wine in the Markgraeflerland, in southern Germany right across the Rhine River from the Alsace region. This region benefits from lots of sunshine, a good terroir, and a mild climate that favors varietals such as Chardonnay and Pinots. I tasted the entire portfolio of the Zaehringer wines, a beautiful sparkling wine, the Chardonnay, the 2008 Gutedel, and of course the Pinot Blanc, Pinot Gris and Fruehburgunder (there is not really a translation for this varietal, one could call it a Premature Pinot Noir). After I had come to realize the true nature of organic wines, I again encountered that specific emotion in Paulin’s wines. They showed the earthiness, boldness, terroir, and elegance only detectable in natural, handcrafted wines. Moving on to taste the reds, I started with the Domaine Pierre Clavel from the Languedoc region. Pierre Clavel, a very good long time friend of Dagmar, is the owner and winemaker and his domaine became certified as organic in 2007. Since 1992 he makes his top quality Copa Santa, a very special wine stemming from grapes planted on the terroir of La Méjanelle. The Copa Santa is a blend of Syrah from older vines, Syrah from newer vines, Grenache and Mourvèdre. The 2007 Copa Santa was gorgeous with a lot of sensuality and spirituality to it: a bouquet so grand that you have a hard time taking the glass away, velvety in the mouth, prominent tannins, a beautiful body and a long finish. I was overjoyed to stumble across the Domaine Ilarria from Irouléguy at the Millésime Bio. From the very first time I ever had a glass of their Irouléguy last spring in a nice restaurant in St. Jean de Luz on the Basque coast in south west France, I was hooked on this wine. The first encounter took me totally by surprise: the bouquet was stunning, lots of cassis, blackberry, a touch of chocolate; on the palate this wine was wild, earthy, mysterious with a luscious feel in the mouth due to lots of tannins; a never ending finish and pure joy. This wine certainly had character and left a lasting impression on me. At the booth in Montpellier the Irouléguy Rouge 2007, a blend of 70% Tannat, 20% Cabernet Franc and 10% Cabernet Sauvignon, tasted just like what I remembered from last spring. Now I understood what makes this wine so appealing to me, it is the harmony of the complex soil on the steep slopes of the Irouléguy region, the mountain climate of the Basque Pyrénées, and a winemaking culture staying true to organic production principles since the first vines were planted in the eleventh century. I had a long chat with Peio Espil, the owner and winemaker of Domaine Ilarria, who assumed responsibility over the small 6 hectare (15 acre) family winery in 1988, and promised to visit his domaine in Irouléguy on my next trip to France. The Bodega Dionisos from the Castilla-La Manche region in Spain pursues the philosophy of making wines respectful of cosmic rhythms. Karina de Nova, the German born hostess of the Bodega Dionisos explained to me that in view of the harsh conditions in the region – difficult soil and very dry climate - traditional wine making techniques combined with observing the lunar calendar produce the best results. I tasted their portfolio: four wines made in the classical organic tradition and three produced following the lunar calendar. The latter three were the 2006 pagos del conuco, a 100% Tempranillo, the 2004 Vinum Vitae, also a 100% Tempranillo aged 12 lunar cycles in barrique, and the 2003 Ego Primus, a blend of 70% Tempranillo, 15% Cabernet Sauvignon, and 15% Shiraz. These wines showed more fieriness, more boldness than their just organic counterparts. My favorite was the Ego Primus. This wine had a gorgeous spicy bouquet, lots of tannins, a powerful body and a lasting finish. Somehow by drinking this wine I could feel the terroir (I have been to Toledo, hence I have an idea about the region) and the wine oozing from it. One of the newly established wineries present at the Millésime Bio was the Lazanou organic vineyard from the Wellington valley near Cape Town in South Africa. This winery was founded in 2006 and is fairly small with just 5 hectares. Jo Lazarus and Candice Stephanou, the charming owners strictly pursue organic winemaking and planted varietals conducive to the soils and microclimate conditions of their terroir. I tasted the 2009 unwooded white wine, a blend of 59% Chardonnay, 39% Chenin Blanc, and 2% Viognier. The nose was beautiful, heavy with honey, the body full without being overpowering and the finish was long and memorable. The 2008 unwooded Chenin Blanc was absolutely wonderful with a gorgeous fruity nose, lots of minerality, a good structure and a perfect balance of acidity and a hint of sweetness. This wine won first prize for best organic wine in South Africa. The two reds, one 2008 made from 79% Syrah and 21% Mourvèdre, and the other one a 2008 100% Syrah were also very nice and promising considering their youth. I particularly liked the Syrah with a typical smoky bouquet, lots of tannin, a strong character and a long finish. As someone living in the United States I of course stopped by the booth of the only American exhibitor, the Frey Vineyards of Mendocino County in California. The winery was established in 1980 by the Frey family who pioneered organic winemaking in the United States. In 1996 Frey Vineyards was the first American winery becoming certified by Demeter Oregon, USA for biodynamic wines. The wines presented at the Millésime Bio were very young. The Organic Zinfandel 2008 had just been bottled after being aged in French Oak. The bouquet carried lots of black fruit notes; the wine was smooth, juicy on the palate and almost ready to drink. This was a typical New World wine, a blend from grapes from five organic vineyards, among them grapes bought from vineyards not belonging to the Frey estate. In general, there are many winemakers in the United States, who just produce the wines on their estates and leave the agriculture part of growing the vines and harvesting the grapes to others. In my view this is the distinctive difference to the Old World Wines where traditionally the vineyard and the cellar is in the same hand, and where terroir plays such an important part in the philosophy of winemaking. Paul Frey, the winemaker held a workshop explaining the sophisticated technical process of preserving and stabilizing the wines without adding sulfites. According to American laws added sulfites are not allowed in organic wines. During fermentation small amounts of naturally occurring sulfites appear but this is usually not sufficient for preserving the wine, hence other methods of preservation need to be applied. After the workshop on my stop at the Château Beauséjour table, a heated discussion arose on the subject of how to preserve wines. Gérard Dupuy, the owner defended the European tradition allowing a limited amount of added sulfites in organic and biodynamic wines. He pointed to the challenge for small wineries wanting to become organic by having to bow to rules that require certain technical procedures. The Château Beauséjour in Puisseguin in the Saint Emilion region of Bordeaux has always refused to use chemical treatment on soil, vines and in the cellar since Alain Dupuy, Gérard’s father adopted a winemaking procedure respectful of protecting nature in 1947. For fermentation autochthonous yeast strains for many centuries adapted to the environment are used. The vineyards are planted with 75% Merlot, 25% Cabernet Franc and 5% Cabernet Sauvignon. I loved the wines; they clearly were children of the terroir with a typical Merlot bouquet, a hearty soul reflecting the chalky soil, a substantial body and a lingering finish. My days at the Millésime Bio in Montpellier were well spent and I enjoyed every minute of it despite the physical exhaustion of being on my feet for hours and the mental force to concentrate on so many wines. My tasting experiences leave me with the conviction that the organic winegrowing sector has a lot to look forward to. More and more people will come to realize how wonderful it is to produce and consume tasty, sensual wines that are in harmony with their surrounding ecosystem. A lot remains to be done to come up with a regulatory framework comprising worldwide certification. In general European and American views on what it means to be “organic” differ widely. In the United States the different State and Federal laws concerning the certification process add to the confusion and obstruct transparency. Organic and biodynamic certification touches on consumer protection and food law issues. Consumer protection is the responsibility of the respective State and food law lies in Federal hands. As a result a number of class action suits unfurled recently leading to the hope that a complete overhaul of the certification system is on the horizon. An important first step will be the upcoming European Union regulations on organic winemaking scheduled for July 2010, which could serve as example for future regulatory work in other countries. I am very much looking forward to the 18th Millésime Bio next February to again tease my taste buds with the many wonderful organic and biodynamic wines. Who knows what I will discover then! German wine exports were down in 2009 as exporters were affected by the worldwide economic crisis and the relative strength of the Euro. According to data issued by the German Wine Institute/Mainz, German wine exports fell by 6 percent in terms of volume in 2009. “In addition to extremely difficult market conditions, the strong Euro added to the financial burden. Nevertheless, with a total export volume of some 200 million litres of wine valued at 394 million Euros, we’re still exporting at a level comparable with 2007,” explained the Wine Institute’s managing director, Monika Reule, just prior to the international wine trade fair ProWein in Düsseldorf (21 - 23 March, 2010). See more here. With about about 102,000 hectares (252,000 acres or 1,020 square kilometers) of vineyard, which is around one tenth of the vineyard surface in Spain, France or Italy, the total wine production in Germany is usually around 9 million hectoliters annually, corresponding to 1.2 billion bottles, which places Germany as the eighth largest wine-producing country in the world. White wine accounts for almost two thirds of the total production. The German wine industry consists of many small wine producers, totaling about 70.000. If you exclude the about 40.000 operators of less than 0.5 hectare who should probably be classified as hobby winemakers, you are down to 30.000 wine makers. Then, it gets a bit complicated. Many smaller winemakers do not pursue wine making as a full-time occupation, but rather as a supplement to other agriculture or to hospitality. It is not uncommon that a small family-owned tavern or restaurant has its own wine. If we move up to a minimum of 5 hectares, we get down to about 6.000 wineries, accounting for about 60 percent of Germany's total vineyard surface, and it is in this category that the full-time winemakers are primarily found. However, truly large wineries, in terms of their own vineyard holdings, are rare in Germany. Hardly any German wineries reach the size of New World wine making companies. Nearly 3/4 of Germany’s wine exporter revenues are generated in 4 regions: North America, Great Britain/Ireland, Benelux and Scandinavia. The US is the most important export market, followed by the UK and the Netherlands. In the US, the total value of German wine imports declined by some 13 percent compared with 2008. But hopes are that this was only a temporary blip. Half a century ago, Americans consumed millions of bottles of white German wines with names like Blue Nun, Black Tower and Zeller Schwarze Katz. But as tastes changed, the American consumer turned to oaky Chardonnays from California and the German wines disappeared from the shelves. With them, unfortunately, went the appreciation of German wines by the American wine drinker. However, since the early 1990s, German wines have seen a renaissance in the US. From 2002 to 2006, exports of German wines to the US doubled every year. Germany's rehabilitation has taken time. The American consumer has finally embraced the country's often enervating, food-friendly wine styles, encapsulated by its finest grape variety - Riesling. Riesling is now the fastest-growing white grape variety in the US. Developments in the British market were somewhat contradictory: on the one hand, German wine sales in terms of volume grew by 33 percent in the highly popular £5 - £6 price category (Germany was top performer among all imports); at the same time, the average price per litre remained relatively low and sales in the < £3 category have declined considerably. Overall, German wine exports to the UK fell by 19 percent in terms of volume. “Despite these setbacks, we must continue to move forward by promoting quality rather than quantity,” said Reule. “We’ve been able to convince professionals and opinion leaders that our wines truly offer high quality. It will take time, however, for this message to reach consumers on a large scale.” Last year, German wines profited from the trend in Great Britain toward lighter, fruit-driven wines with a low alcohol content – the type of wines for which production conditions in Germany are perfect. 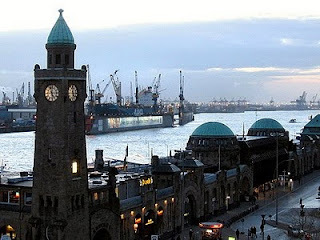 In Gemany’s third most important export market, the Netherlands, there was a noticeable increase in sales value and volume (12 and 10 percent, respectively) in 2009. Double-digit growth rates in terms of value were also posted in smaller markets, such as Ireland and Poland (42 and 29 percent, respectively). With a one-percent increase in sales value in Norway, German wine exporters were market leaders in the white wine category. New Hampshire, USA: Cheese ….and Lobsters and Oysters … and Wine! Picture: New England Map with New Hampshire and Christian G.E.Schiller in front of typical New England house, with dog Oscar and cat Peace. New Hampshire is one of the most, if not the most Libertarian State in the US. It is on the East Coast, part of New England. I am always amazed, when I go there to visit my daughter Dorothea and her husband Christian to see the license plates on the car with the motto. Of course, there is cheese in New Hampshire. When you talk in Paris with a Frenchman about cheese made in the US and tell him that there are now excellent such cheeses made by very devoted and knowledgeable cheese makers, he will not believe you. But there is a rapidly expanding production of great artisanal cheeses in the US, though starting from a very low level. Cheese will probably never play the role in an American household it plays in a French household. The typical French grew up in a household where in the evening his or her mother would serve a four courses meal---crudites as starter, main plate, cheese and dessert, with a glass of wine of course, or two. The French have it in the Jeans. He or she knows so much about good food, including cheese. In the US, it is very different. Cheese is eaten as topping for Pizza or for the cheeseburger or similar food. But America is changing. Some Americans have started to show serious interest for high-quality cheese and artisanal cheese makers are springing up across the country. And this cheese explosion is going east now to Europe. I was at the Borough’s market in London a few months ago and I was surprised finding Neal’s Yard Dairy to sell Roque River cheese from Oregon and the Pleasant Ridge cheese from Wisconsin. New Hampshire only has a small stretch of the coast and I am not sure it produces its own seafood in meaningful amounts, but seafood is readily available in Concord. I always have at least once a lobster, a New England clam chowder and Oysters. Interestingly, in North America, lobster did not achieve popularity until the 19th century, when New Yorkers and Bostonians developed a taste for it. Prior to this time, lobster was considered a mark of poverty or as a food for servants. The lobster industry became global, once the transportation industry could deliver live lobsters to urban centers. Fresh Maine lobster became a delicacy exported all over the world, in particular to Europe and to Japan. The European lobster is more expensive and rare than the American lobster. It has been on the menu of the royal and aristocratic families and the rich and famous, in particular of France, for many centuries. I like my lobster simple steamed with drawn butter. As for the wine, I try to go local: Finger Lakes, Long Island or New Hampshire wine (see below) … or a dry German Riesling that is crisp, fresh and high in acidity. Then, I always have my Oysters. Oysters have been a favorite of food lovers throughout the centuries. And they have always been linked with love. Casanova reportedly started an evening eating 12 dozen oysters. Oysters were cultivated long before the Christian era. The Greeks served them and the Romans were in particular enthusiastic about those from the shores of the English Channel. I like them best au natural, or with fresh lemon juice. There are also two classic sauces to be served with raw oysters. The first is a mignonette sauce with shallots and vinegar and the second is a chili sauce. I have not seen in Concord any oysters from New Hampshire, but occasionally, you find some from Maine, though most are from Long Island or are brought up from Virginia. In most people’s minds, Maine is a lobster country. But the same frigid ocean, terminal moraine, and unpolluted coastline that grows such delicious lobsters also makes for beautiful oysters, with the Damariscotta River estuary standing out. Maine oysters grow slowly. A Maine oyster needs three years minimum. The best oyster wines are dry, crisp, clean-finishing white wines. I try to go local: Finger Lakes, Long Island or New Hampshire wine (see below) … or a dry German Riesling that is crisp, fresh and high in acidity. Wine in New Hampshire? Yes, there is wine in all 50 States. Wine is now produced in all fifty States, with California leading the way followed by Washington State, Oregon and New York State and Virginia. However, some States outside the Northwest do not grow popular vitis vinifera grapes such as cabernet sauvignon very easily, and some wineries in the smaller wine-producing States buy juice or grapes from other States. The United States is the 4th largest wine producing country in the world after France, Italy, and Spain. North Dakota was the last to join, in 2002. Alaska’s wine is made from grapes from other states. 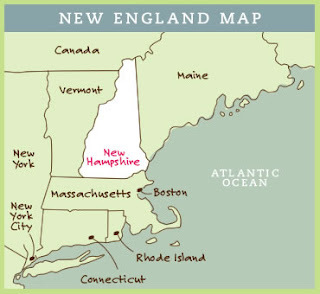 New Hampshire is a relative new kid on the block, joining the list of states that began pioneering winemaking in the early 90's. One thing that is not well known in Europe is the struggle in America in the past centuries to find the appropriate grapes for winemaking. In the original charter of the thirteen colonies was a royal commission to pursue three luxury items that England was unable to provide for itself: wine, silk, and olive oil. Every colony made attempts to satisfy the requirements of its charter, but made only limited progress. The problem was that on the one hand there were the native American grapes. All these native American grapes were cold tolerant and disease and pest resistant, but not well suited for wine making, due to their coarseness, high tannins, and "foxy" flavors. On the other hand, the vitis vinifera which settlers brought from Europe, were well suited for wine making, but uniformly did not survive long enough to produce a crop. Despite many years of failure, the early Americans persisted in their efforts. And they had some success. First, they planted several different native varietals in the same vineyard and over time some natural mutations occurred; the results from some of these hybrids were far better than any of the unadulterated natives. A big step forward was made in 1740 when a natural cross pollination occurred between a native American grape and a European vitis vinifera. Other successful crossings followed. Today, European vinifera grapes dominate wine production in California, Oregon, Washington State, New York State and Virginia. There are now twelve commercial wineries and vineyards in the State of New Hampshire. French hybrids are found to grow best in the cool New England climate, including Seyval Blanc, Vignoles, and Vidal, as well as Chardonnay and Pinot Noir. German wine lovers in the Washington DC area had a feast when a caravan of about a dozen German winemakers was on its annual US East Coast Tour and stopped in the Nation’s Capital in early February 2010. The caravan was a group of German winemakers, from the Mosel, Pfalz and Rheinhessen regions, lead by Derek Vinnicombe, a wine broker and US importer, based in Germany. Derek Vinnicombe was, as he puts it, raised “on the bottle”, and thus followed the family tradition. William Frederick Vinnicombe, his great-great-grandfather, established a wine merchants company in Torquay (England) back in 1857. After completing college, studying German, Chemistry and French, Derek joined the Landes Lehr- und Versuchsanstalt für Weinbau und Kellerwirtschaft in Veitshöchheim near the city of Würzburg in Germany. The appreciation of fine German wines began. Following practical experience in Germany and Switzerland, he became a wine-broker and later established his own company in 1985, concentrating on the finer wines from Germany. The winemakers spend about 10 days at the East Coast annually and visit the large cities to promote their wine. Tastings at wine stores, wine dinners, shows with sales representatives and so on takes this group from Washington DC to New York, Chicago and to other centers. In the Washington DC area there were 3 store tastings this time: Rick’s in Alexandria, Arrowine in Arlington and Finewine.com in Gaithersburg. These store tastings gave the wine enthusiasts an opportunity to taste the wines of several German fine wine producers side by side and to talk with the personalities behind the wine, all of them were either owner and/or winemaker. This are all winemakers who have a strong orientation in their wine production towards what is demanded in the German export markets. Ms. Fischer told me that she is exporting 80% percent of her production to the US. No wonder that she is not listed in the Gault Millau wine Guide, although she produces very fine wines. Among the other winemakers and owners I met, Fitz Ritter is a 2 Grapes Gault Millau wine estate and Dr. Thanisch a 3 Grapes Gault and Millau wine estate. The German Wine Society Chapter Washington DC recently hosted a tasting with Phil Bernstein from Addy Bassin's MacArthur Beverages. So, you had a combination of two, American consumers who are really into German Wine and one of the best retailers in the American market. What did we taste? I did a posting on the tasting, which sheds some light on the American Taste for German wine. See here. This is how Finewine.com announced the event: These wines are high-quality and really good. German winemakers do not make wine for quaffing; there is plenty of beer for that. These wines are for savoring and enjoying. This is a unique opportunity to taste with the winemakers and understand more about the wines, the labeling, and what to serve with them. Discover how these wines are made and the great family stories behind them. These winemakers battle steep slopes, cold weather, and low crop yields to carefully produce a distinctive, individual, and refined wine. This are great wines and this is the German Wine Event of the Year! Family documents show that the Fischers' ancestors were involved in viticulture as far back as 1758. In 1950, Dr H.H.Fischer, a surgeon, inherited the estate from his father, an appointed public notary in Ockfen. Due to his medical duties in Frankfurt, Dr Fischer´s wife, Gunhild, managed the estate. The estate is well-known for its Ockfener Bockstein wines, and in 1964 the former Lintz estate in the nearby village of Wawern was purchased; property dating back to 1043, which was formally owned by the cathedral seminary of Trier before secularization in 1796. Today, the next generation, Karin Fischer, manages the entire estate, following the death of her husband Hans-Henning in 1999. The Spa (English for Bad) town of Dürkheim, embedded into the foothills of the Palatinate forest, marks the heart of the fertile Middle Haardt region of the Pfalz. The area is especially favored by a warm micro-climate in the broad Rhine valley, protected from cold winds by the bordering Pfalz hillside forests. Countless almond trees can thus flourish between the vineyards, their delicate pink blossom heralding the end of the winter. The Fitz-Ritter family estate dates back to 1785 and is today owned and managed by the 8th generation in succession, Konrad Fitz and his wife Alice, who has American roots. Fitz-Ritter was one of the earliest producers of Sekt in Germany. This quality Sekt, produced from 100% old-vine Riesling, was grown in the sunny microclimate of the Middle-Haardt region. See more about German Sekt here. This is a sweeter Gewürztraminer which has become one of Fitz-Ritter’s best selling wines in the US. Ulrike Schneider's maxim has always been absolute devotion to her vineyards and wines, whilst marketing was considered less important. The estate has been owned by the Schneider family for 7 generations, and at vintage time, three generations are at work. 15 hectares in Nierstein belong to the estate, over 40% of which are Riesling. Bollig-Lehnert is located in Trittenheim along the Mosel River. Bolling is a fine example of the new generation of Mosel vintners. The family has been producing wine since the 17th Century, but new cellars and house have been built on the outskirts of Trittenheim. The wine-growing tradition of the Thanisch family can be traced back more than 350 years. In 1636, the name was mentioned for the first time in the registers of Bernkastel-Kues. The quality of the family’s wines soon extended their excellent reputation far beyond the Mosel valley. At the end of the 18th Century, the Thanischs acquired the Berncasteler Doctor vineyard, a very steep site with deep devon slate structure, situated behind and overlooking the rooftops of the quaint old town of Bernkastel. The Doctor name originates in a legend about Prince Boemond II of Trier who fell sick and then was cured by a wine from this vineyard. Medicinal powers of fine wines are today being re-discovered! The Doctor Vineyard is one of the most famous German sites. In 1988, the Weingut Wwe. Dr. H. Thanisch was split up into two parts: Wwe. Dr. H. Thanisch - Erben Thanisch and Wwe. Dr. H. Thanisch - Erben Mueller-Burggraef. Introduced with the 2000 vintage, a Classic wine is a dry or more likely slightly off-dry Qualitaetswein. It is supposed to be a decent table wine, not a premium wine, that can accompany a meal. In terms of sweetness of the wine, the residual sugar content of a classic wine can be twice as high as the acidity level, up to a maximum of 15 grams per liter. 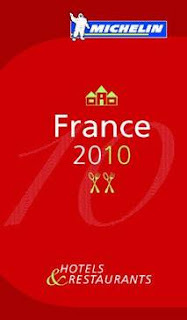 The Michelin Restaurant Guide for France has been published in Germany. The Michelin is, along with Gault Millau, the leading restaurant guide for France. The English version will be published on April 7, 2010. Here is already a list of all starred restaurants in France, including lists of the promoted and demoted restaurants. - 455 one-star restaurants, including 47 new ones. The Cuisine des Emotions of Jean Luc Brendel in Riquewhir, Alsace, where I ate a few weeks ago and which I described her, remains in the one-star category. See my posting here. The February 2010 issue of the German Food and Wine Magazine Feinschmecker presented the winners of the "Deutscher Riesling Cup 2009". The price is awarded every year by The Feinschmecker for German dry Rieslings. All wines were from the 2008 vintage. 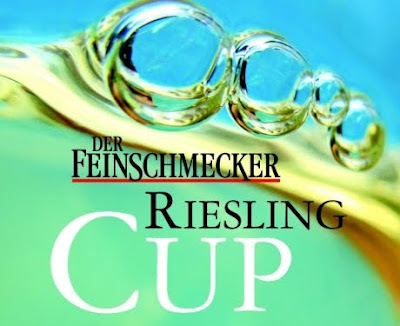 For last year's Riesling Cup, see here. Again, a winemaker from the Nahe region, a smaller wine region, got “Gold”: Tim Fröhlich vom Weingut Schäfer-Fröhlich in Bockenau. The Jury felt that his 2008er Bockenauer Felseneck Riesling trocken "Großes Gewächs" is the best German dry Riesling des Jahrgangs 2008. Already last year, the Weingut Kruger-Rumpf, also from the Nahe, had topped the list, followed by Weingut Hermann Dönnhoff, also from the Nahe. The tasting took place in November 2009 and 348 wine makers had submitted their wines, ranging from simple QbA wines to Grosse Gewaechs wines. The following 13 wines made to the finals. The strong showing of the Nahe region is impressive. The Nahe is a very small wine region between the Mosel in the North and Rheinhessen and the Rheingau in the South. Rheinhessen is absent from the list this year. Rheinhessen is the largest viticultural region in Germany. Every fourth bottle of German wine comes from Rheinhessen. The high-yielder Mueller-Thurgau accounts for about 1/5 of the vineyards, and Silvaner and Dornfelder both for 1/10. Rheinhessen also has the rather dubious honor of being considered the birthplace of Liebfraumilch. At the same time, Rheinhessen is among Germany’s most interesting wine regions. A lot is happening there. This is not because of the terroir, but because of the people. There is an increasing group of young, ambitious and dynamic winemakers who want to produce and indeed do produce outstanding wine and not wines in large quantities. But none of them made it to the Riesling Cup list this year. Baden is a surprise. It is famous for its red wines and not a well known for Rieslings. Baden is the most southerly and warmest German wine-growing area in Germany's southwestern corner, across river Rhine from Alsace. It is known for its Pinot wines - both red and white. The Pinot Noir is the most widely grown grape variety in Baden. But the white wines from Baden are also very respectable. The main wine variety grown in the Tauber valley is the Müller-Thurgau, a resilient grape which produces very notable wines with a fine bouquet and an earthy-flowery scent. The Grauburgunder also deserves mention. But this time, Baden did very well in the Riesling Cup with its rarely planted Riesling wines. Another surprise is the Mosel region. The Mosel region is well known for producing sweet Kabinett and Spaetlese wines that are made sweet and low in alcohol by stopping the fermentation. They are very special and very popular in the American market. They have their followers in the German market. But the Mosels region can also produce excellent dry Rieslings, as this contest shows. Four of the wines are Grosses Gewaechs wines. Grosses Gewaechs is supposed to indicate an exceptional dry wine, like a French Grand Cru. It is a label invented by the exclusive club of VDP winemakers for their best wines and cannot be used by the other 99% of German winemakers, who are not a member of this club. Not only for that reason is the Grosses Gewaechs label a strange animal. By law, they need to have the sugar level in the grape of a Spaetlese wine. Spaetlese wines are not allowed to be chaptalized. At the same time, Grosse Gewaechs wines are by law sold as QbA wines and thus can be chaptalized. The purpose of the chaptalization, however, is not to add sweetness to the wine, but to increase the alcohol level. As a rule, a Grosses Gewaechs wine needs to be a least Spaetlese level at harvest, but is always declassified as a QbA wine. Finally, the concept of Grosses Gewaechs excludes VDP winemakers from the Rheingau region, which went on a separate route and uses the “Erstes Gewaechs” label instead. In the Rheingau, any, and not only VDP winemakers, can produce Erstes Gewaechs wines. Tim Froehlich from Weingut Schaefer-Froehlich, 1th place, is also year’s Gault Millau winemaker of the year. Tim Frohlich took over Weingut Schäfer-Fröhlich in 1995. He has impressed Gault and Millau with his dry, sweet and noble sweet white wines. German Wine Basics: How does a Sweet German Riesling Become Sweet?